The ongoing natural gas leak at Aliso Canyon, California is no ordinary leak. The Aliso Canyon gas leak (also called Porter Ranch gas leak) is a massive, uncontrolled, ongoing leak from a natural gas well connected to the Aliso Canyon underground storage facility near Porter Ranch, Los Angeles, California since October 23, 2015. The second largest gas storage facility of its kind in the United States belongs to the Southern California Gas Company, a subsidiary of Sempra Energy. On January 6, 2016, Governor Jerry Brown issued a state of emergency. Just like the BP Gulf oil spill, this disaster has made the nation aware that gas leaks are far more common than otherwise known. In fact, natural gas leakage is expected for a high percentage of fracking and other drilling sites. It’s actually unavoidable in some circumstances because of the various technologies and techniques which are used to extract natural gas around the USA. Each natural gas drilling or fracking context presents its own unique set of challenges. Some are very difficult, some are quite easy and there are a lot in between. The more challenging the drilling or fracking operation the greater the likelihood that things will go wrong. Things going wrong in the drilling business is an accepted fact of life and not really considered problematic. This is why gas leakage is simply considered a part of the process, as well as an environmental cost of doing business. This predicament is quite similar to what the BP Gulf oil spill was responsible for making the public grimly aware of — that oil leaks in the Gulf of Mexico (GOM) are actually quite common and occurring all the time. Undersea oil wells can be breached in a number of ways, even after they have been capped. Once they spring a leak, they can release hydrocarbon effluent for years on end without being noticed. They are rarely, if ever, reported by drillers since they are out of sight, out of mind. Who, after all, is going to happen upon a leaking well that is say 3500 feet under water in the GOM? Now consider how easy it is for the Oil & Gas Industry to accidentally fail or purposely neglect to report natural gas leaks from their active and inactive operations. They can come and go without so much as an iota of evidence left behind. When attempting to determine whether any given well has been leaking methane, the only thing that can be done is to monitor it in real time. The volume of gas leaked can then be ascertained through a variety of methods. In reality, massive methane emissions are now a highly tolerated “cost of doing business” industrywide. Despite the fact that methane is considered the most powerful greenhouse gas (GHG), there is very little regulation or enforcement in this regard. Corporate oversight is even more lax as the inordinate push to make the USA completely energy independent has consistently overridden safety concerns and environmental damage. 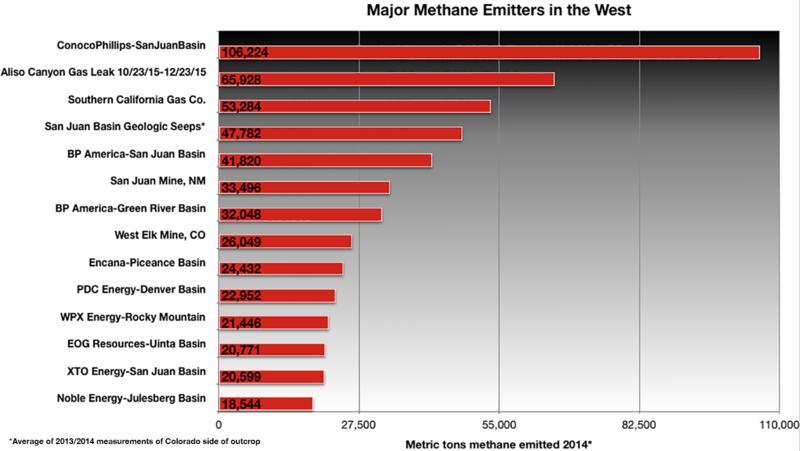 The following chart clearly illustrates by company the methane emissions due to industrial operations during 2014. It should be noted that since the well blowout at Aliso Canyon, the methane output has made that site the largest methane producer in the country. The leak has also put the state of California on the global methane map in a major way …………. Graph: Jonathan Thompson. Data: California Air Resources Board, EPA, LT Environmental. Aliso Canyon: What’s the back story? The source of the leak is a metal pipe in a breached 7-inch casing of injection well SS 25 that is 8,750 feet deep. The field can hold 86 billion cubic feet of natural gas and is the second largest storage facility of its kind in the United States. Well SS 25 had been drilled in 1953 and was initially provided with a safety valve. The safety valve was removed in 1979 as it was old and leaking. Because the well was not considered “critical, that is, one within 100 feet of a road or a park, or within 300 feet of a home”, the valve was only removed and not replaced. The atmospheric scientist Steve Conley said the wellhead in Aliso Canyon was 61 years old and implied it was no “shock that it failed”. What is crucial to understand about the currently out-of-control leak under management by the Southern California Gas Company (aka SoCalGas) is that it is directly connected to “field that can hold 86 billion cubic feet of natural gas”. Various researchers, including the GreenMedInfo Research Group, have been attempting to verify the vulnerability of the 2nd largest storage facility of its kind to this intractable leak. Heretofore, we have been unsuccessful in confirming this critical issue. So, the real question is how did this leak develop into the worst of its kind in American history? The facts of this case have literally been leaking out into the public since the blown well first began releasing natural gas on Oct. 23rd. The initial response from SoCalGas was predictably defensive and dissembling at first as they had every reason to know exactly where the leaking gas was coming from. Instead of full disclosure on the matter, SoCalGas led the residents of upscale Porter Ranch to believe that everything was okay, even going so far as to go “from home to home to home, giving everybody the A-OK and […] didn’t admit to having a gas leak until … probably around the 28th of October”. The company knew all along that they had a major gas leak on their hands and that, once the news got out, there would be only one alternative for those living near ground zero—EVACUATION. This is exactly what thousands of families have been forced to do, over 2800 households to date. There are another 6500 plus families still in process. When is the last time that 10,000 households were relocated for any type of manmade disaster?! 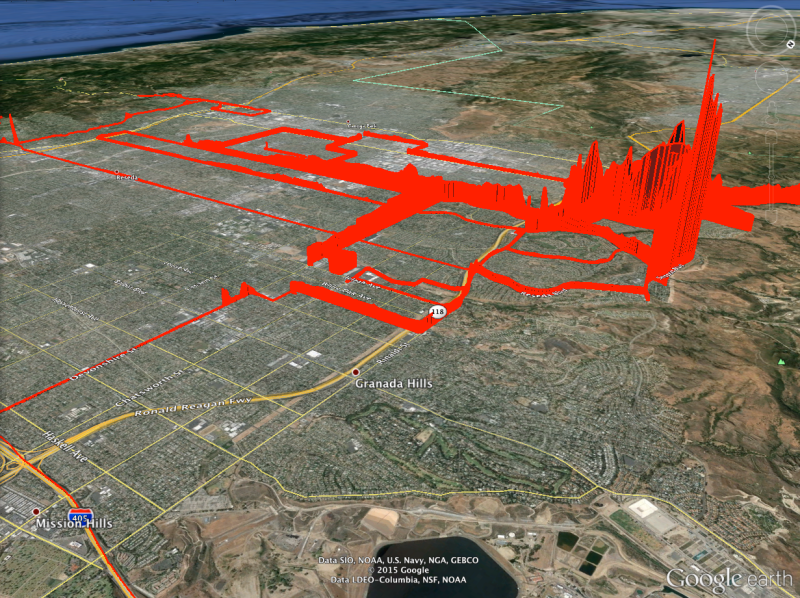 That’s how bad a single natural gas leak can be. That it took almost two and a half months to officially declare an emergency is also quite suspect in the eyes of many. Governor Jerry Brown’s sister sits on the board of Sempra Energy, the parent company of SoCalGas There is much speculation throughout the LA area that the catastrophe was deliberately hushed up because of the sheer enormity and severity of the problem. SoCalGas has known about this well gone bad for many years and deliberately chose to take the path of least resistance at every juncture. In light of the fact that there was prior knowledge of faulty and inadequate equipment at the site, SoCalGas currently has legal exposure and financial liability that far exceed anything ever experienced by an American utility. Depending on how long it takes for a durable repair to be made, that liability will only grow with each passing day. Every week that families are kept out of their homes puts extraordinary pressure on both the utility and the government. Hence, a permanent resolution must be found quickly lest the state be sued for negligent oversight and regulatory violations. Both of these are clearly evident from the evidence that has been made available. What was the exact cause of the leak? Last fall, a 7-inch injection well pipe ruptured 500 feet below the surface of Los Angeles, after ferrying natural gas for six decades. 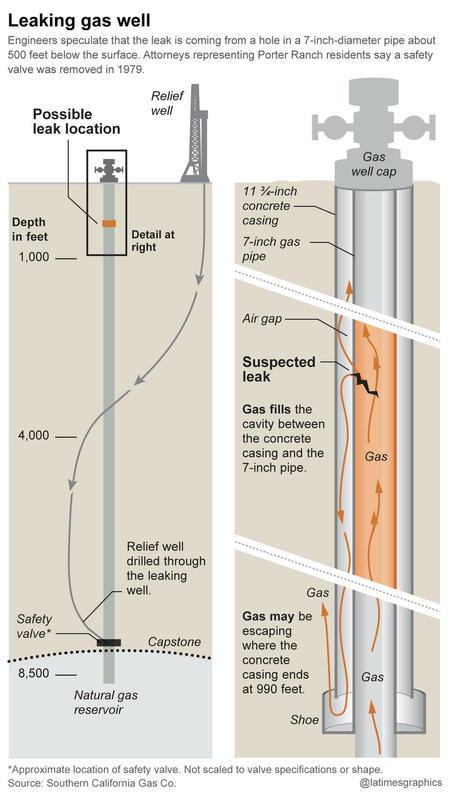 The preceding diagram clearly delineates the suspected cause of the leak. Because the natural gas is escaping continuously at a point that is 990 feet underground, the best alternative was to drill a relief well beyond that depth. That relief well is being drilled at a depth of almost 8500 feet in order to cut off the flow of natural gas just above the natural gas reservoir. Because this reservoir is the largest of it type in the western U.S., it holds a volume of gas that will leak uninterruptedly for an inordinate period of time. Again, just like the BP oil spill, the SoCalGas gas leak was caused by the Perfect Storm. In both cases it was a series of human errors and corporate neglect together with aging infrastructure which conspired to trigger the leak. SoCalGas clearly did what many energy companies do: they “operate to failure”. BP was famous for this company policy whereby undersea oil drilling operations were conducted under extremely risky circumstances. 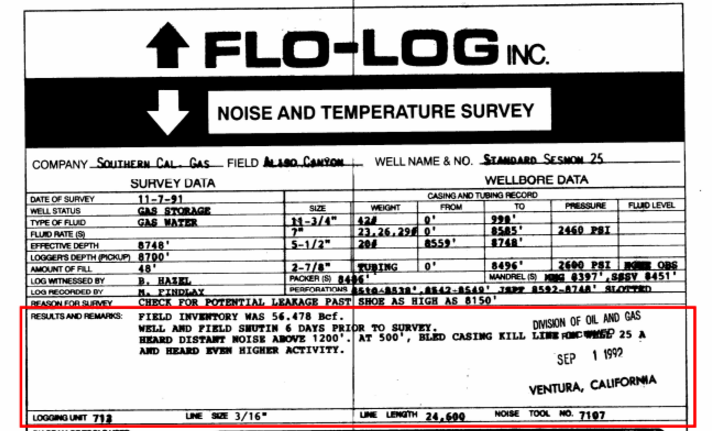 Similarly, the old well known as Standard Sesnon 25 in Aliso Canyon, which was drilled in 1953, also showed definite signs of leakage in 1992. Rather than take all the necessary precautions SoCalGas did quite the opposite, even though “they could hear the leak through bore hole microphones”. In other words a 25-year-old leak was treated as though it didn’t even exist. Continuing to conduct the operations as usual in such a dangerous situation is what is referred to in the business as “operating to failure”. Hence, it is the standard operating procedures themselves which give rise to these periodic oil spills and gas leaks. The Oil & Gas Industry has been given cover by the U.S. Government over many decades. All of the involved regulatory agencies are staffed with former industry officials just as federal bureaucrats often go to work for the energy companies. The incestuous relationship has only gotten more so with each passing year as the checks and balances are inevitably eroded. 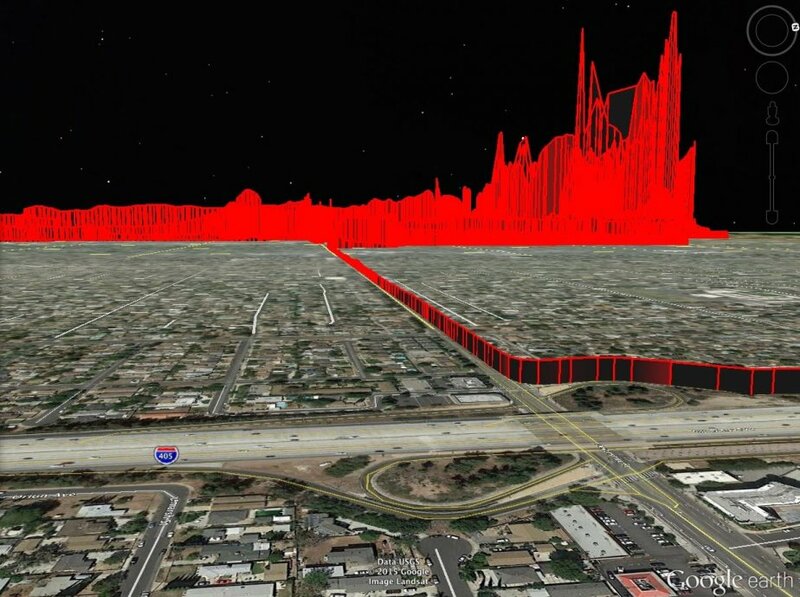 The SoCalGas leak also occurred as a result of technospheric breakdown. It’s well known throughout the industry that the aging infrastructure which includes storage facilities and conduits are under constant stress. The wear and tear eventually take a toll on the infrastructure much more quickly than the companies are willing to address the ever-worsening deficiencies. The Oil & Gas Industry is also becoming much more aggressive in the application of their new techniques and technologies. They are drilling deeper wells and pushing their machinery and equipment harder. Some of the gas fields that are developed present highly speculative and precarious circumstances which ought to set off a large flashing red light. Instead, the companies push ahead in the face of formidable obstacles like they did with Well SS-25. The well should have been taken completely out of operation when it was determined it was leaking 25 years ago. The following document constitutes a record of the “Noise and Temperature Survey” in which the leaking was confirmed. Gene Nelson, a professor of physical science at Cuesta College in San Luis Obispo, California who has seen the document, said that he found it “appalling that SoCalGas did not identify this as a well to shut off,” after receiving this feedback. What this response indicates is that the state of affairs throughout the industry is quite apathetic toward these types of events. First, gas leaks happen all the time and have become so commonplace that it takes a big one — a real BIG one — for the industry to take them seriously. The core problem then is really systemic and a part of the very culture. Only a truly catastrophic event like the SoCalGas leak will get enough attention to shift the status quo in the right direction. In 2013, SoCalGas applied for and received money to do upgrades on equipment like safety valves—money that the Environmental Defense Fund (EDF) says should have been used to prevent a leak like this. The regulatory decision filing shows that SoCalGas was granted $898,000 per year (in addition to the regular fund of about $3 million per year for repairs) to replace 5 percent of its safety valves at Aliso Canyon. According to EDF, these extra funds weren’t used as they should have been—to prevent a leak of this magnitude. The technospheric breakdown component of this historic leak cannot be overestimated. The nation’s natural gas pipelines and storage facilities are getting older by the day. Various factors such as weather, wear and tear, overuse and misuse can all contribute to the speed at which the infrastructure is degrading. Performing the necessary inspections does not always seem to catch some of the most serious problems. In many cases those cost-prohibitive and labor-intensive problems are quite conveniently avoided. In the worst case scenarios the necessary repairs are routinely postponed. It’s commonly known throughout the industry that money is spent on new equipment and machinery only when absolutely necessary. Particularly when the price of hydrocarbon fuel is dropping due to weak demand, are expenditures reluctantly made on upgrades and maintenance. They are the first victims of the budget cuts when the energy markets are crashing like they have been for the past year. Consequently, those necessary preventative upgrades are passed over oftentimes even when they’re urgently needed. Another major factor which has contributed to the multiple complications at Aliso Canyon is that the state of the art of both equipment and technology has not kept apace with the aggressive natural gas development. The rush to frack and drill at breakneck speed and in areas that present unique challenges has created predicaments in which the equipment has not been proportionately upgraded to meet the extraordinary demands. Situations now arise regularly wherein the troubleshooters are using inadequate technology and substandard equipment to address dire emergencies. Welcome to Aliso Canyon. There’s no question that SoCalGas has been predictably negligent just like BP was in the GOM. Each day brings new stories which are verified whereby SoCalGas failed to heed one warning sign after another. Instead of confronting those deficiencies forthrightly, the corporate response had been to ignore and justify, dissemble and defend. Perhaps the prospect of such an epic failure was so great that they did not want to face the inevitable. The following account represents this dynamic quite well. Other safety issues have been pointed out recently, too. Earlier this month, The LA Times reported that attorneys representing some of the 1,000 residents suing SoCalGas over the leak claim the company failed to replace an important safety valve that was removed in 1979—a valve that could have stopped the current leak in its tracks. The plaintiffs also allege that the company again identified leaks at the site five years ago, but never implemented plans to fix them. As public outrage grows over one of the worst environmental catastrophes since the BP oil spill, the southern California gas company responsible for the breach acknowledged over the weekend that it decided nearly 40 years ago against replacing an underground safety valve that could have cut off the gas leak when the storage tank first erupted in late October. Executives of Southern California Gas apparently concluded it was too hard to find replacement parts for the valve and that the underground storage tank wasn’t close enough to homes to warrant the time and expense. Instead, they gambled that the cutoff valve would never be needed. Lawyers representing some of the families in a class action suit charged that the Southern California Gas Company, which manages the storage tank, failed to replace a leaky and defective safety valve in 1979, and instead simply removed it. While a new safety valve may not have prevented the leak from occurring, attorney Brian Panish told The Los Angeles Times that it would have enabled a work crew to have stopped the continued release of the noxious gas. A spokesperson for SoCalGas, Melissa Bailey, confirmed to the newspaper that the ruptured well did not have a “deep subsurface valve,” but she insisted it was not required by state law. The critical point here is, similar to the BP oil spill, that a simple piece of equipment could have prevented what Erin Brockovich has labelled: “This is the equivalent of the BP oil spill on land, in a populated community.” Only this time it is not oil leaking from an undersea well 5000 feet below the surface and 60 miles out at sea; rather, it is a massive gas leak in a high density residential area of Los Angeles County. LA is literally a stone’s throw from the actual out-of-control well. It is the government — both federal and state — which has provided the Oil & Gas Industry with so much leeway to conduct what is essentially an extremely risky and perilous business. They aren’t called “wildcatters” for nothing. Not only are the exploration and drilling side quite dangerous, the transport, refining and storage of oil and gas also have their attendant risks. Nevertheless, the federal government has always given these companies a lot of slack, often to the great detriment of the local communities. The health impacts associated with this gas leak are many and serious. Whenever thousands of families are relocated to keep them out of harm’s way, the health implications are necessarily quite daunting. There have been at least 2500 households relocated from Porter Ranch with thousands more in process. 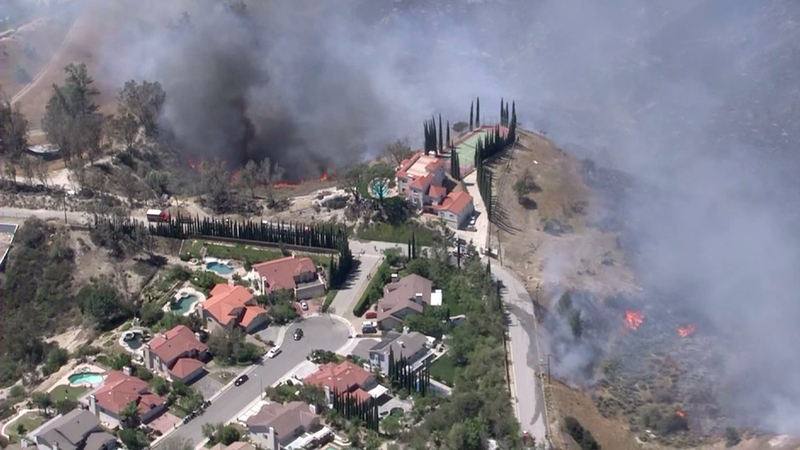 The general area affected by the gas leak in Aliso Canyon has a population of 30,000 people. This particular region of the San Fernando Valley is densely populated and therefore presents some formidable logistical challenges all the way around. The health impacts and medical implications start with the natural gas. Because this is a mammoth storage facility, which supplies processed natural gas to upwards of 20,000,000 people throughout the greater Los Angeles area, there are not the many other toxic chemicals to be concerned about that are normally found first-time extracted gas. However, methane gas in the concentrations being reported certainly can pose serious health risks. Benzene, a toxic VOC (volatile organic chemical) is also registering in significant amounts according to the readings taken thus far. Toluene and other alkanes are present in lesser amounts. Most of the medical ailments thus far, which have required some form of medical intervention have has to do with an additive known as mercaptan. Mercaptan is quite deliberately added to natural gas so that gas leaks can be quickly identified and remedied. Also known as methanethiol, as well as methyl mercaptan, methanethiol “is an organosulfur compound with the chemical formula CH3SH”. It is the sulfur in mercaptan which confers a very strong odor on the natural gas by design. The mercaptan is introduced into the natural gas so that the gas can be recognized when leaking by the foul-smelling odor. It was because of the smell of rotten eggs wafting through Porter Ranch residential area that 2500 families were relocated. When the concentration of mercaptan is sustained at a high level, there are telltale symptoms that will inevitably develop. The primary symptoms from inhalation include “fever, cough, dyspnea, tightness and burning in the chest, dizziness, headache, loss of sense of smell, nausea, vomiting and diarrhea.” These are precisely the symptoms which have triggered the medical alerts in the affected residential areas. These have been serious enough that three schools have also been closed. What is important to understand is that mercaptan, “at very high concentrations … is highly toxic and affects the central nervous system. Its penetrating odor provides warning at dangerous concentrations.” The scientific literature is clear about some very serious medical conditions which can result from exposure to increased levels of mercaptan. Even lower but sustained levels of mercaptan can cause some of the following ailments. Inhalation may cause CNS depression, respiratory irritation, respiratory paralysis, pulmonary edema, tremors and seizures. It may also cause liver and kidney damage, tachycardia and hypertension. Methemoglobinemia and severe hemolytic anemia with hematuria and protenuria have been reported in a patient with G-6-PD deficiency. Long-term breathing of methane will deplete the oxygen levels from our organism. This will trigger breathing difficulties and various problems of this type, eventually resulting in suffocation. This lack of oxygen may result in the loss of consciousness as well. Since our body notices that it is losing air rapidly, it tries to compensate for the losses through creating air out of the water supplies we have in our system. Therefore, this can cause dehydration too. During the course of methane exposure, you are likely to vomit and feel nauseous. These, as well as collapsing can all be signs of methane poisoning and should be taken quite seriously. Headaches and heart palpitations are also possible signs of an ongoing methane intoxication. Additionally, one’s cognitive problems start occurring, due to the fact that there is not enough air in one’s brain. Every oil and gas driller is quite familiar with the perils of methane burps which occur during deepwater drilling operations. The burning and sinking of the Deepwater Horizon in the Gulf of Mexico from April 20th through 22nd of 2010 resulted from at least two very powerful natural gas explosions that occurred on that mammoth oil rig. Such is the power of rapidly uprising hydrocarbon effluent that has a large component of methane gas. 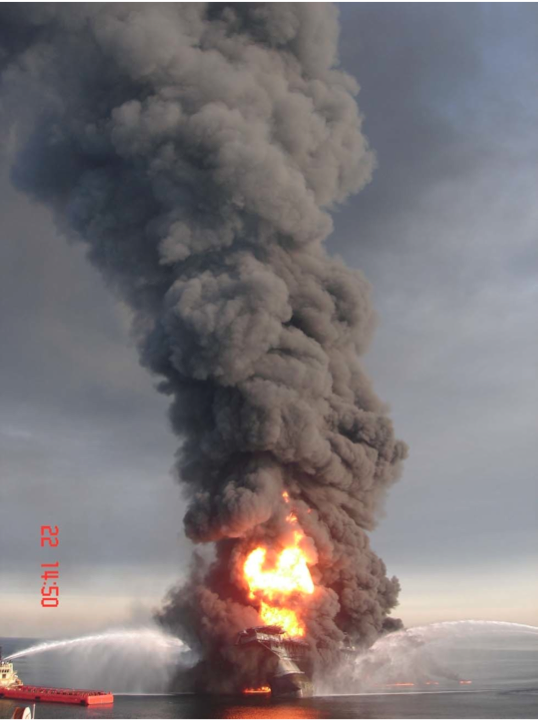 When methane gas does collect in small and/or confined spaces like a pipeline, the likelihood of explosions increases according to the risk factors that are present for an ignition. Because of the ever-widening pervasiveness of natural gas throughout Aliso Canyon and beyond, the opportunities for a spontaneous ignition grow by the day. Truly, this particular danger represents the greatest risk for the San Fernando area. The out-of-control well is significantly connected to an extremely large natural gas storage facility which greatly increases the risk for an explosion and long-burning fire. Likewise, because the population density of this region of the San Fernando Valley, there is also a likelihood that different population centers will encounter some form of methane toxicity. There is no avoiding those areas which have shown a tendency to accumulate dangerous concentrations of natural gas. Hence, the only safe response is to evacuate the household as the levels of methane and mercaptan become intolerable. The following data clearly illustrates what happens when levels of methane gas reach various concentrations. These physical symptoms and behavioral reactions are quite well-documented; therefore, anyone suspecting a buildup of natural gas in their residential area ought to leave immediately after informing the local police and fire department. The different predicaments outlined below ought to be taken very seriously. “Methane is not toxic below the lower explosive limit of 5% (50000 ppm). However, when methane is present at high concentrations, it acts as an asphyxiant. Asphyxiants displace oxygen in the air and can cause symptoms of oxygen deprivation (asphyxiation). The available oxygen should be a minimum of 18% or harmful effects will result. 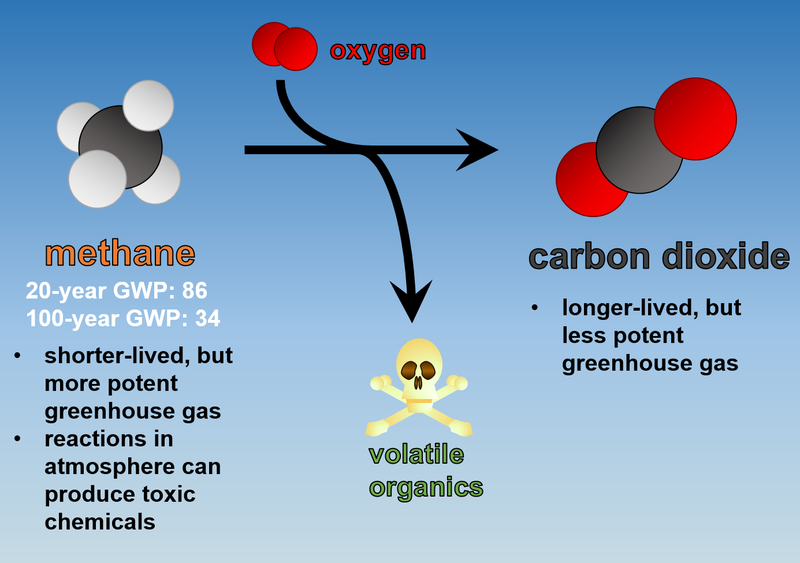 Methane displaces oxygen to 18% in air when present at 14% (140000 ppm). It is not expected to cause unconsciousness (narcosis) due to central nervous system depression until it reaches much higher concentrations (30% or 300000 ppm) – well above the lower explosive limit and asphyxiating concentrations. The environmental impacts of natural gas leaks are due primarily to the high concentrations of methane (CH4) and other VOCs that are associated with natural gas field development. Whenever methane travels in plumes over land, it does not discriminate between populated and uninhabited areas. 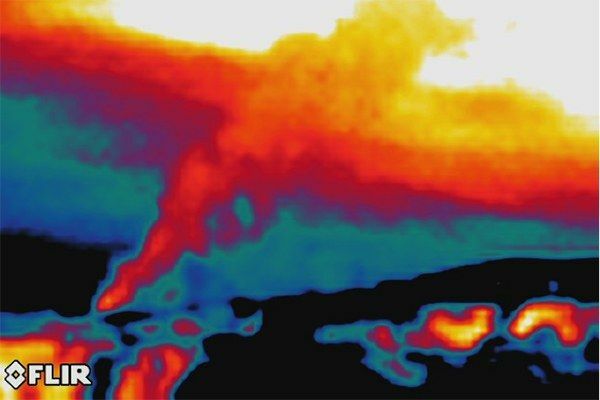 The atmospheric behavior of methane is what makes it so dangerous … on the micro level that is. The local weather patterns will dictate as much as any other factor exactly how much impact the natural gas will have on the local environment. This is the greatest concern for the San Fernando Valley. Wild life and plant life will certainly be affected by this well blowout because of the tremendous volume that it has been continuously pouring into the local environment. Unfortunately there is nothing that can be done to alleviate this problem except wait for the gas to disperse to the point that safe levels again prevail. On the macro level CH4 is understood to be the most powerful greenhouse gas. Because of the size of this massive leak, Well SS 25 is responsible for continuously releasing natural gas into the atmosphere since October 23. There have been many calculations put forth which have estimated the volume of natural gas and methane attributed to this sole leak. The following excerpt provides some alarming details about the methane emissions due to this leak. At a calculated rate per hour of about 50,000 kilograms of methane emissions, this single leak is likely responsible for over 25% of the state’s daily total methane emissions from all sources, including landfills and agriculture. 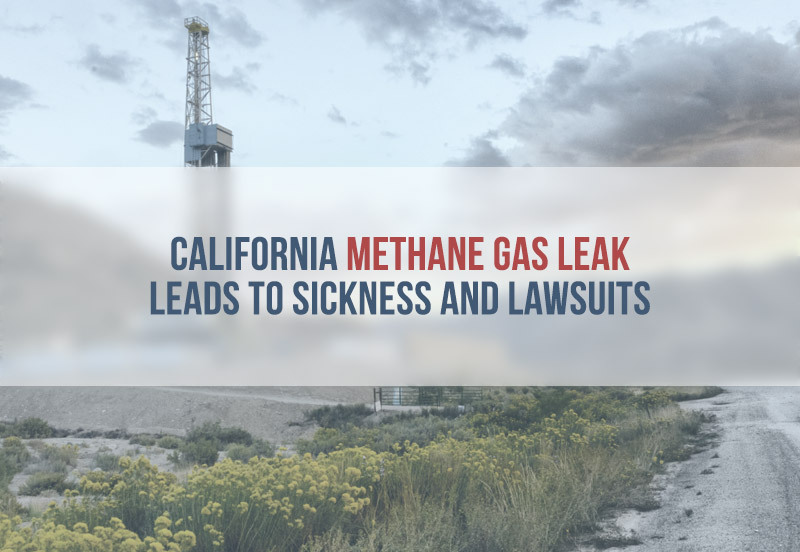 Depending on when it is fixed, this one leak is also likely to single-handedly double the methane emissions associated with natural gas use in California this year. The headlines below provide an idea of just how serious the methane output has been for well over three months. The impacts are many and varied and still not completely understood because of the unparalleled volume of gas that is leaking by the hour. The most significant and well-known quality about methane gas is that it is the most powerful greenhouse gas. This particular feature — it’s capacity to trap heat — has distinguished CH4 as the primary target after CO2 where it concerns global climate change. Even though it does persist for a shorter periods of time in the atmosphere than CO2, wherever it does exist in abnormally high concentrations it will perform its heat-trapping ways quite effectively. As the chart above indicates, the GWP (Global Warming Potential) of atmospheric methane is exceptionally high, especially when compared to the other major greenhouse gases. Were there to be other major or minor gas leaks in California due to the intensive fracking operations throughout the state, the aggregate output of natural gas into the atmosphere will most assuredly jeopardize its green reputation. CH4 is released naturally from geological formations particularly where natural gas reserves have been found. The more conduits, both natural and manmade, which have been created for these emissions to escape through to the surface, the greater the volume of methane gas will be released into Earth’s atmosphere. The bottom line here is that there is a safe threshold of concentration of methane beyond which capturing and other techniques might be considered. There are two events which can turn this natural gas leak in Aliso Canyon into California’s worst nightmare scenario. The storms which are now coming off the Pacific Ocean due to an ever-intensifying phase of El Nino will have their fair share of electrical discharges. Lightning, in particular, poses a very definite risk at the site of the gas leak. Methane is by its very nature extremely flammable. A direct hit at the wellhead could certainly produce a catastrophic explosion and subsequent fire. The extent that the gas storage facility was involved in such an event would determine just how serious such an explosion might be. Because the well piping is made of steel it would act as an excellent conductor for any electrical discharge from a thunderhead or lightning cloud. 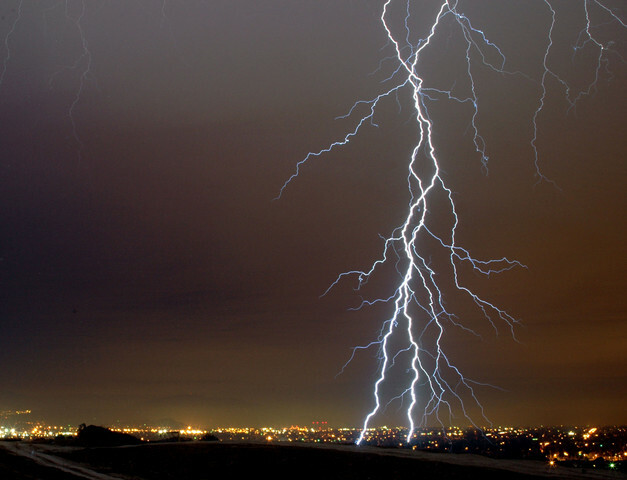 Arc lightning is another source of stray voltage which can be generated from both natural and manmade sources. In either case, the potential exists for an ignition of the leaking well. Likewise, any brush fires, forest fires or other wildfires in the immediate area would also give reason for concern. Stray sparks or burning vegetation which is blown into the immediate area could pose a potential problem. There is an ongoing warning to all residents in the region about their use of electronics in the surrounding locale of Aliso Canyon; therefore, larger sources of electrical or kinetic energy would likely present a much greater risk. The Aliso Canyon gas leak has a very definite radioactive component as do many gas leaks. Just like the BP spill in the GOM which produced hydrocarbon effluent that had come from geological formations where radon gas, uranium and thorium was present, natural gas is often contiguous to the same radioactive rock formations. In fact, the natural gas drilling process routinely produces wastewater that is extremely radioactive. In New York State radioactive wastewater has been determined to be “as high as 267 times the limit safe for discharge into the environment and thousands of times the limit safe for people to drink”. …radon is gaseous and easily inhaled. Thus, naturally-occurring radon is responsible for the majority of the public exposure to ionizing radiation. It is often the single largest contributor to an individual’s background radiation dose, and is the most variable from location to location. Residues from the petroleum and natural gas industry often contain radium and its daughters. The sulfate scale from an oil well can be radium rich, while the water, oil, and gas from a well often contains radon. Clearly, this component of the SoCalGas leak is a complete unknown at this point in time. Similar to the BP Gulf oil spill where both the U.S. Government and BP were consistently unrevealing about the radioactive impacts on the Gulf of Mexico, the public has been given no information about concerns with radioactivity. Not only was seafood never tested for such contamination in the GOM, marine life was neglected as well. In the San Fernando Valley the predicament is quite different because the radioactive component is likely to be airborne in the form of radon gas. Radionuclides which are aerosolized within plume of natural gas can be a tremendous health hazard depending on the concentrations in the ambient air as well as the length of time of exposure. However, it is primarily radon that must be avoided in the current situation. Natural gas is now finding points of egress on the Earth’s surface throughout the general vicinity of San Fernando. Because of the complete information blackout on this particular matter, anyone living within close distance to Aliso Canyon runs the risk of exposure to radon. The thousands of Porter Ranch households which have already been relocated have already been removed from harm’s way. The health impacts associated with the rotten egg smell of the mercaptan is negligible compared to the radon that is often associated with natural gas wells. SoCalGas together with state regulators have looked at a number of different plans to shut down this well. What is rarely mentioned in this ongoing discussion with the public is that this very same well has had leak problems going back 24 years ago to 1992. Because it has demonstrated that it is a problematic well (first drilled in 1952), extra precautionary measures ought to have been taken, and instead the opposite has occurred. Now it has been determined that the very last endeavor to shut off the well actually made this very precarious predicament much worse. There have been 7 or 8 attempts to short-circuit this leaking well. None of them have offered even a glimmer of hope, and some have significantly exacerbated the situation. What follows are a few descriptions as reported by news media which have been following this disaster closely. This is where comparisons to the BP spill are again quote appropriate. A very similar situation developed in the GOM whereby it became apparent that the Oil & Gas Industry was completely out of its depth, both figuratively and literally. Not only were the technology and equipment, though they were state of the art at the time, wholly inadequate to accommodate such a deep and difficult well, the existing SOPs (standard operating procedures) were quite insufficient when dealing with such dire contingencies. The primary means of stopping this gas leak for good is the drilling of a relief well. The following diagram portrays this process with the set time table. Curiously there has been very little news reporting regarding the actual progress or current status of this process. However, SoCalGas together with LA County have set up a website which provides updates on the progress of the relief well. Given the gravity of the situation on the ground, especially around Well SS 25, this remedial endeavor does appear to be the only way out. Again, just like the BP spill, the extraordinary pressure of the uprising gas is so great that it has thwarted various attempts to stop the leak at the wellhead. Hence, the only feasible way of shutting down the well, in light of the cratering around the wellhead and instability of the surrounding land, would appear to be the relief well illustrated below. Even if this approach is not completely successful, it will provide the relief necessary so that other measures can be taken to mitigate the problem. The crucial issue with even this strategy is that the drill bit that is approaching the target well must be lined up with perfect precision. There is very little wiggle room in this process given the highly challenging process that is required to completely close off the well from the source of the gas. SoCalGas has explained exactly what must be accomplished before success can be declared. The relief well reached a measured depth of about 8,400 feet and is approximately 200 feet away from where it is intended to intercept the target well. 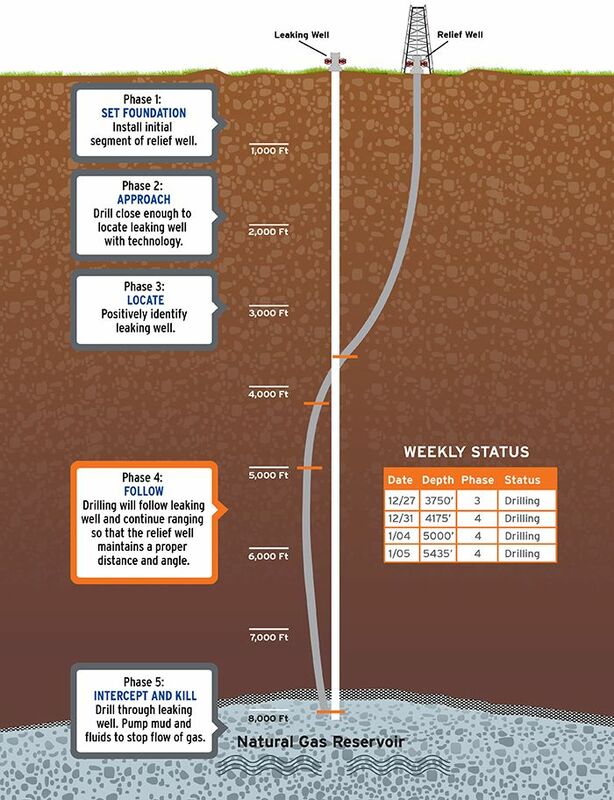 Although close in terms of distance, the objective of this phase is to close that distance while precisely aligning the relief well with the target well so the drill bit is in the best position to drill through and create the entry point for the pumping attempts. This final phase requires precision and accuracy which takes time. SoCalGas Drilling the relief well. Since October 23rd of 2015 the outlook for this gas leak has been nothing but gloomy. With each successive attempt to plug the leak the chances of success seemed to diminish. The following headlines are just a few of those which have captured that pessimism. Each one relates a set of circumstances that depicts a predicament with assorted obstacles that are as formidable as they are unpredictable. Only when the relief well is mentioned is there some hope that this thing will be fixed … permanently. As the conclusion of this paper states, the relief well is last and only hope. Even if the first stab at it does not hit the target; or worse, if a second one has to be drilled, there is an understanding that the leak can be stopped. Just like the BP oil spill, however, it is the extraordinary damage to the general environment and to public health that is now of the greatest concern. These headlines tell that story. The good news is that everything points to a final resolution of this natural gas leak in Aliso Canyon. The current implementation plan is being carried out nonstop and with extreme care. The specially trained contractors who are drilling the relief well are the best in the business. The have the right skill set, the necessary experience as well as a deep and broad knowledge base to competently address this rapidly devolving situation. The most critical issue is what might occur between now and when the well is successfully shut down for good. There is nothing normal about Well SS 25. It has posed challenges that very few in the industry have ever seen before. It is also tapped into the largest natural gas storage facility west of the Mississippi while being sited right smack in the middle of highly populated north LA. How did that happen? Clearly, this gas leak occurred to teach the Oil & Gas Industry a HUGE lesson. There are similar facilities and wells all over the country which could experience similar blowouts. The industry has already admitted to many similar situations on a much smaller scale, of course. Nevertheless, what the SoCalGas leak disaster has done is provide a major wakeup call. Caveat: Given the current state of affairs throughout the industry because of the collapse of oil and gas prices around the globe, it is highly unlikely that the status quo will change. The number of bankruptcies has accelerated during 2015 and will only increase in 2016. This has brought about an industrywide initiative to reduce costs, contain cost and cut costs wherever possible. Safety procedures and risk management, equipment upgrades and engineering refinements are always the first to suffer in the midst of an economic depression. Such an enormous downsizing of the Oil & Gas Industry will likely relegate exactly those quality control measures that are needed the most. Then there is the under-the-radar matter of technospheric breakdown which is transpiring inexorably 24/7 throughout every sector of the industry. In light of the immense degree of wear and tear on plant and equipment, the degree of technospheric breakdown will only be magnified by the year. The oil and gas industry infrastructure is degrading by the day and can no longer be expected to perform as it did during its earlier days. The bottom line perhaps is that there ought to be a lessening of dependence on the entire Hydrocarbon Fuel Paradigm. If nothing else, this essay ought to inform the reader about the inherent dangers and extreme risks associated with standard oil and gas operations being conducted nationwide. The very nature of extracting oil and/or gas, transporting it, storing it and retrieving it has many hazards. Consequently, the more the USA depends on hydrocarbon energy to run its economy, the more that predicaments like the SoCalGas methane leak will occur. Hence, it appears that a decision must be made, sooner or later, as to whether the Hydrocarbon Fuel Paradigm can be safely sustained for future generations.